Real Estate Commission Calculator. Instantly calculate both sides of a sales transaction. Simple and easy to use. 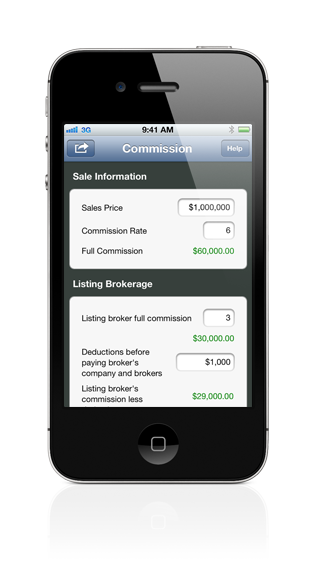 The program simplifies complex calculations for up to 10 brokers on a single transaction. Works equally well on your iPhone and iPad. Includes options for deductions before the broker/house split and/or deductions after the broker/house split.